Act fast to dodge as many pixel blasts as you can before being blown to smithereens! Choose from a quirky cast of Pixel Dodgers characters, each with their own unique skills, as you dodge your way through beautifully illustrated 8-bit worlds. The retro visuals and delightfully difficult 2D gameplay... see more Act fast to dodge as many pixel blasts as you can before being blown to smithereens! Choose from a quirky cast of Pixel Dodgers characters, each with their own unique skills, as you dodge your way through beautifully illustrated 8-bit worlds. The retro visuals and delightfully difficult 2D gameplay are guaranteed to a give you a serious case of nostalgia - just tap to start! • Retro 8-bit graphics - bring on the nostalgia! PLEASE NOTE! 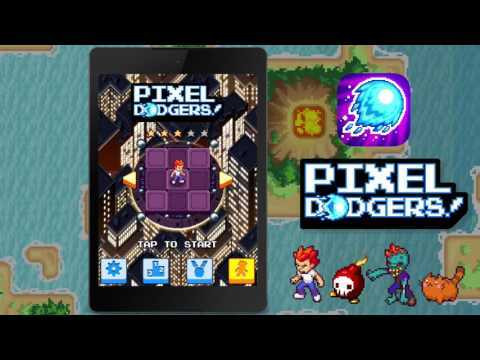 Pixel Dodgers is free-to-play, however some game items can also be purchased for real money. If you don&apos;t want to use this feature, please disable in-app purchases in your device&apos;s settings.